Respect and courtesy are the most important factors in Thailand. The Ratchaphruek (Royal Tree) is the national flower of Thailand. Lotus, Orchids, Frangipani, Krachiao, Jasmine, Bat flowers, Hibiscus are some of the local species. Flower delivery is at its peak in Thailand due to increase in tourist attractions. People in Thailand are less fond of expensive gifts & so sending flowers like Roses in mixed color, Lilies, Gerberas, chocolates or fruits are given as a memorable token. Three is considered to be luckiest number so any combination of three is always a good option. 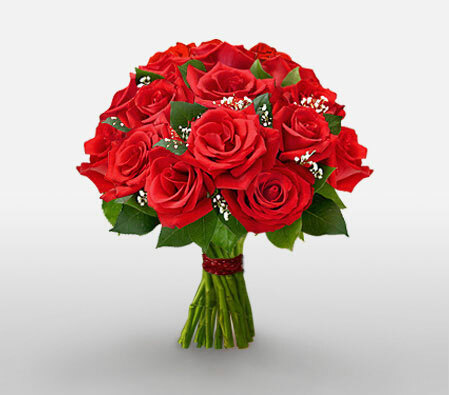 Send flowers same day to Thailand using our local florists & flower shops. Order by 12 noon. Send Easter Flower Arrangement, Easter Hampers & Gift Baskets to Thailand. Send Roses, Carnations, Lilies throughout Thailand for occasions like Birthdays, Anniversaries, Funerals, etc. Enjoy affordable flower delivery across Bangkok, Samut Prakan, Chiang Mai, Nakhon Ratchasima & nationwide delivery. How do i send International Flower Delivery to Thailand? Flora2000 has transformed International flower delivery to Thailand into a fine and effortless art. With our efficient flowers & gifs delivery services worldwide; you are sure to find the perfect expression of your message to your loved ones. Be it Roses, Lilies, Carnations or Cakes, our gifts are sure to make both the sender and the receiver happy. We make sure the gifts you give reflects what you feel about the receiver. Respect and courtesy are the most important factors when it comes to Thailand, they are experts in it. Ratchaphruek (Royal Tree) is the national flower of Thailand. It is commonly found on the streets all over the country. Lotus, Orchids, Frangipani, Krachiao, Jasmine, Bat flowers, Hibiscus are some of the local species of this country. Floral business in Bangkok, Phuket, Chiang Mai, Ko Samui, Pattaya is at its peak due to increase in tourists attraction. People in Thailand are less fond of expensive gifts. Flowers like Roses, Lilies, Gerberas, Mixed colour roses etc, chocolates, or fruits can be given as a memorable token. It’s a Buddhist country which believes in gifting modest flowers and books of photographs. Three is considered as lucky number while 6 being unlucky. Envelopes are considered to be ideal gift for wedding, while during new year they prefer to give gift baskets (containing food or fruits) for business delegates. Gifting shoes is not recommended because Buddhists considered feet’s as the least sacred part of the body. Marigold & carnations are considered to be the best choice for funerals. We have an exclusive collection of flower arrangements, hampers & baskets for this Easter. Our classy collection of flowers & Gifts for Easter to Thailand.